Sasha's baby is now out of the pouch and back-rides on Sasha when she is visiting. The baby doesn't have a name yet and its gender is unknown. The baby is not yet eating solid food and often hangs upside-down on Sasha with its head in her pouch suckling. 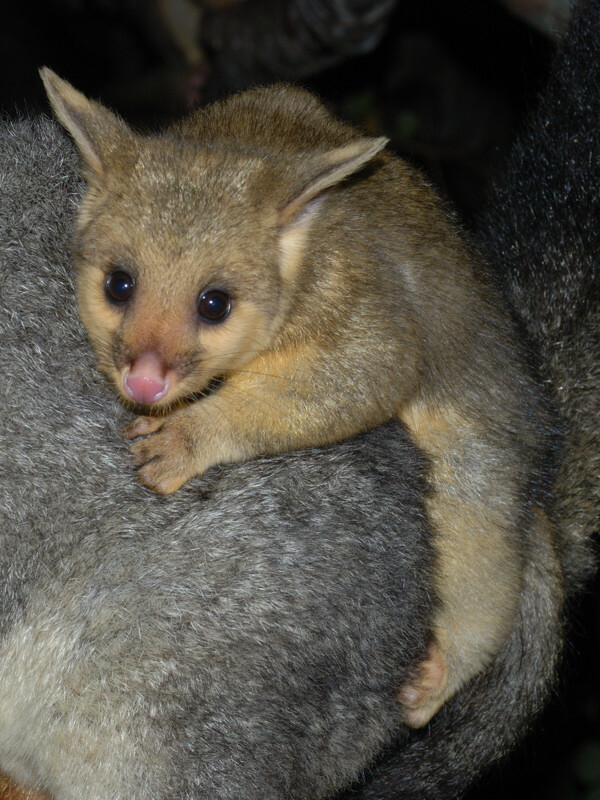 Sasha is quite willing to chase off other possums with the baby hanging on underneath her like this. 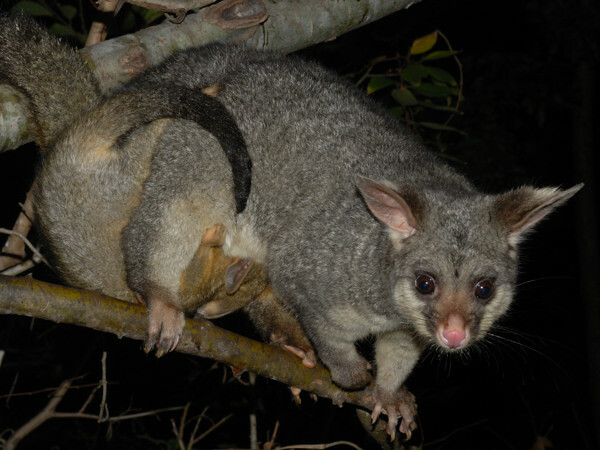 The baby gets knocked on branches and occasionally trampled, but that's normal in the possum world. 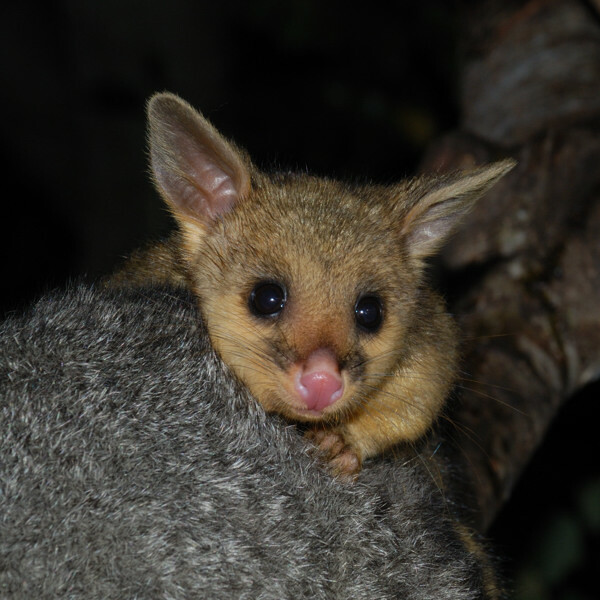 Baby brushtails don't get mollycoddled. Meanwhile, Kiki's baby is still very tiny. She was in Box 7 yesterday and it barely showed itself at all. It won't be back-riding for a considerable time yet.